Dubai, UAE, October 29, 2018: While your smartphone is an extension of your unique style, it must empower you to surf, play, watch and a whole lot more, all to your heart's content. Following the big global announcement, the HTC U12 life, is now up for grabs in the UAE. Equipped with exceptional dual camera, power packed performance and a gorgeous design, HTC U12 life is available in two striking colors¬¬, Moonlight Blue and Twilight Purple, across select retailers in the UAE and on HTC’s regional e-commerce store (www.htc.com) at an incredible price of AED 1,299. Designed to reflect “U” – your unforgettable photos, your style, your personal way of interacting with your phone – the new U12 life comes with an extraordinary dual finish that offers a stunningly fresh take on the design. To power the amazing cameras and big, beautiful display, the U12 life packs in a 3600mAh battery that helps you keep up with your busy life. Further, the Qualcomm Snapdragon 636 Mobile Platform provides intelligent, chart-topping efficiency so you can multitask away without draining your battery. The U12 life delivers surprising power and performance in a smartphone this affordable. The dual camera features a 16MP main camera with a f/2.0 aperture, and a 5MP, f/2.2 secondary snapper. This dual setup allows for a live Bokeh mode, letting you preview the background blur as you compose a shot, so you can see how the image will look before hitting the shutter button. You can also add next-level creativity to your portraits with pro-like focus on your subject and a soft, delicate blur in the background, much like an expensive, high-end camera. HTC U12 life features a selfie cam with accurate flash and beautification mode that gives you great looking selfies in low light that you'll be happy to show off to your friends. The HTC U12 Life also supports 4K videos with output that is powerful and influential. 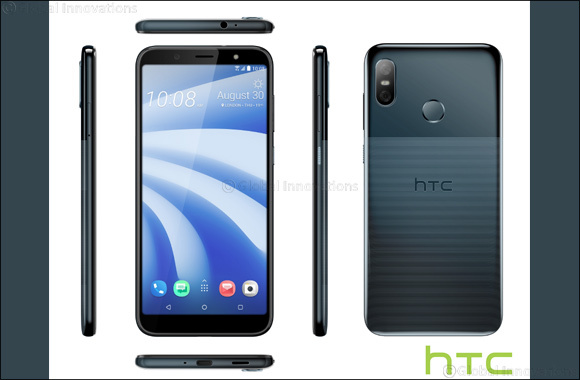 The launch of the U12 life complements HTC’s existing U series, which has been HTC’s high-end smartphone range since 2017. The U12 life delivers a gorgeous and unique dual finish featuring soft, subtle stripes on an acrylic glass unibody with a metal-like design surrounding a vivid, 18:9 full-body display. Enjoy a new dimensional touch with a solid grip that feels great in the hand. Plus, the U12 life is toughened up to fight against scratches to help keep your phone looking beautiful. It’s a totally fresh take on our Liquid Surface-inspired design.